Don’t let cold temperatures damage your deck! Your deck can be the best part of your outdoor space during the warmer months of the year. Entertaining out in your tranquil landscaping may seem like a distant memory now that the fall has crept in to make way for winter, but don’t forget about your deck this winter. Protecting your deck from harsh winter storms and temperatures will keep it looking stunning and well-maintained so that you can go on using it for years to come, it’s as important a step in your fall maintenance tasks as lawn care. Don’t lose out on any time enjoying the outdoors this spring because you need to repair your deck after a harsh winter–here are some tips to protect your deck from the cold. Keeping your wooden deck protected from winter weather can seem impossible. Eventually, water and ice can warp wood and require massive repairs. This is one reason many people opt for hardscaping decks, which require less maintenance. But sealing the wood this fall can make a big difference in lengthening your deck’s usable life. Use a high-quality sealant to fill any cracks in the wood and protect your deck from rain, snow, ice, and wind this winter. Cleaning your deck really can go a long way to keeping it well-maintained. 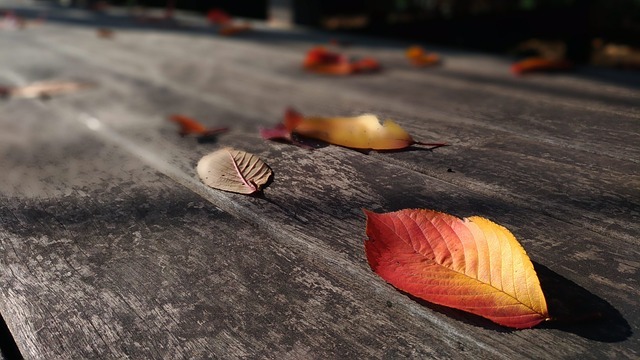 Not only should you remove clutter such as planters and patio furniture from your deck to prevent staining over the winter, but you should scrub down the surface of your deck this fall to remove any mildew or mold before sealing the wood for winter. Remember to use a bleach-free deck cleaner to avoid discoloration. After all, in addition to protecting it, cleaning your deck is another way to make sure your landscaping makes a great first impression. Shoveling the snow built on your deck through the winter can seem futile. After all, who’s going to sit out there after a snowstorm, anyway? But heavy snow built up through the winter can damage the wood, and moisture from the melting snow can damage the finish. Make sure to use a plastic shovel in the same direction your deck boards run to avoid damaging your deck while keeping it clear of snow. A simple way to keep your deck safe from snow and ice this fall is to tarp it. By covering as much of your deck as possible with a tarp, you can create a protective layer which will prevent heavy, wet snow from warping your deck’s wood or creating mildew issues in the boards. Plus, a tarp will prevent water from getting into the cracks of your deck and making them worse by freezing and expanding. This entry was posted on Friday, November 16th, 2018	at 7:10 pm	and is filed under Outdoor Living Space	. You can follow any responses to this entry through the RSS 2.0	feed. Both comments and pings are currently closed.